Last time we said we could either produce ending April or starting June. Ending April was too tight and starting June too late. Thankfully, the world isn’t absolute. Mass production (MP) will start mid-May! This time we know exactly what to expect and prepared for anything (expect new vlogs). We solved the main issue, tightened manufacturing tolerance and made a custom machine for analog testing. And if it counts, Jeroen can speak a bit of Chinese now. 他厲害. Increase our quality control. Ensuring every keyboard would be 100% at specification before going out. Saves us a bunch of time. Before, if we wanted to know the exact analog values of a key, we had to do it with a regular height meter per key. This took a lot of time to set up and measure. It was one of the bottlenecks during our research. Those times are now behind us. In cooperation, we’ve designed the machine to measure all the keys at 0.01mm precision in a single press. We expect it to finish at the end of April, then Jeroen will create the necessary software. So it’s ready for mass production. Huge kudos to the manufacturer here. This was quite an investment on their side. You can expect the Wooting one at your door the mid- to end of June. That’s a month delay from our original delivery date. We were so focused on the production lately that we didn’t have the time to get the word out about the Wooting one. Pretty significantly majorly important, because we’ve made some business decisions in favor of quality opposed to sales. That’s why we’ve started sending out a couple of demo keyboards here and there for early reviews and tests. You can slowly expect to see some content to come out. On that note, if you have some suggestions how we can get the word out or have some professional tips. You’re welcome to share. We’re always learning after all. I’m excited about the Wootility. It’s starting to grow more mature by the week. It’s still missing some functionalities but most items are working pretty damn well. We haven’t shown a lot of it outside the live stream, so I made a small video of the Wootility with GTA5. Whenever there wasn’t something production related. Jeroen spent his time building the Wootility with Erik. This left ample time to work on the firmware (software on the keyboard). Thankfully, we have an awesome guy that helps us out in these cases and he is recently started again. They’ll be ready before you receive the Wooting one. We want to open up our development plans, so you know what to expect in the future. Because there’s a lot more to be done. That’s it for now. We’ll be back with more closer to the production date. Until then you’re always welcome to ask questions on discord, by email (social@wooting.nl) or one of our socials. Tl;DR: We’ve made a custom machine for testing analog. Mass production starts mid-may, expect delivery mid- to end-June. Check out the video for Wootility stuff. Will the wooting one still have sub 1 ms latency despite the new firmware and or software? Reading the entire keyboard analog is done within 0.5ms. Report rate of USB communication happens every 1ms. Latency from USB to PC into game is fully dependent on the OS and Xinput/Directinput drivers if using analog. The Wootility has no role/influence on this. Please include the ability to assign direct-x buttons, since your already doing analog direct-input. You can use this for double keystroke – first top keystoke = “w”… second bottom keystroke is “button 1”. In-game, assign “w” for walk and “button 1” for run. Will make sure to implement keystrokes to any of the input methods. We’ll show the first results of DKS starting June. Thanks for sharing. Thanks for sharing,Very informative article. Thanks for the sharing such precious updates with us. Thanks for sharing the information about ANALOG TESTING MACHINE..this is very informative article. Thanks for sharing,Very informative article. about analog machine. Thanks for sharing,Very informative article. analog machine. 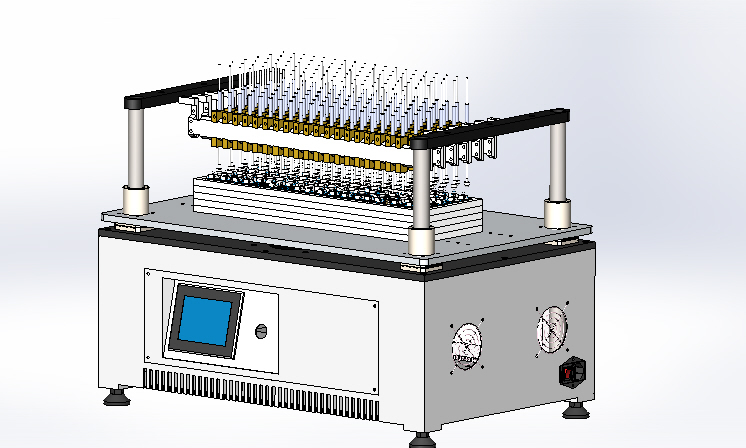 Thanks for update the information about custome machine for analog testing machine..